Great news: version 1.2 of the plugin has been released! Now you can preload more images with a single piece of shortcode. Add the relative or absolute url of each imag into the default stack. This way, the image(s) will be preloaded on every page of the blog. 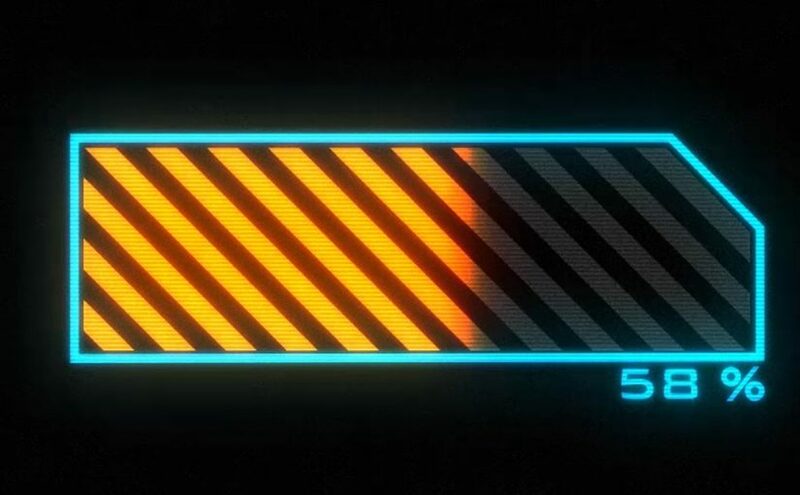 Use this if you have hover images for menus. By adding the shortcode [preload=image_url] for one image or [preload=image_url1, image_url2, image_url3] for more images, into your posts. Note you have to activate the shortcode from the plugin configuration page first. This way the image will be preloaded only when viewing that specific post or page. You can also use relative or absolute urls. 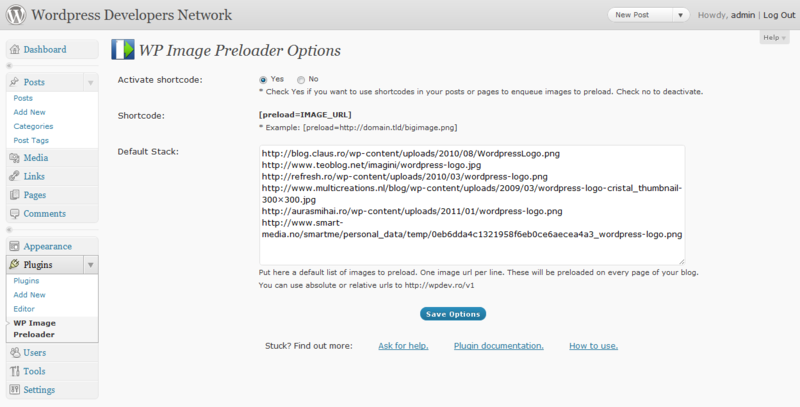 WP Image Preloader uses a jQuery script to preload images. The basic functionality of the script uses the same document.createElement('img') traditional DOM method. You can find the code in /js/jquery.imagepreloader.js file. As per server-side, the plugin uses a global array (stack) $WPIMGP_Queue = array(), to store absolute urls to the images. The functions used to add urls to the global stack are: wpimgpreloader_build_default_stack() and wpimgpreloader_parse_stack_from_content($content="") . So the default stack is added to the array during wp_head action, while images preloaded using shortcodes will be filtered during the_content. All the urls, are parsed using wpimgpreloader_parse_url($url) function, which also decides whether it should add the blog url at the beginning or not. How to use this plugin with your theme? – include the PHP file (wp-image-preloader-portable.php) in your functions.php. 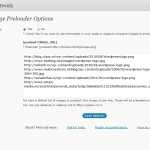 – call wpimgpreloader_enqueue($images) to add urls to your images into the stack. 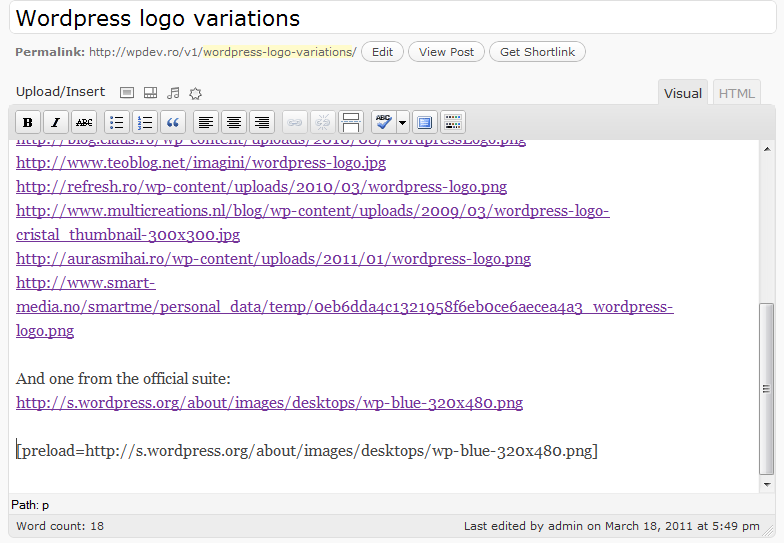 You can use as param a string (single url) or an array of urls, absolute or relative to the blog url. As the plugin name says it is for pre-loading images not for optimizing image(s) load. 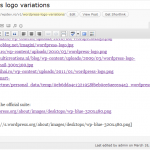 You can always download the latest version from wordpress plugin’s page. If you need help, have a question or suggestions, please add a comment to this article. Comments are held for moderation, but don’t worry I’ll try to get you an answer asap.